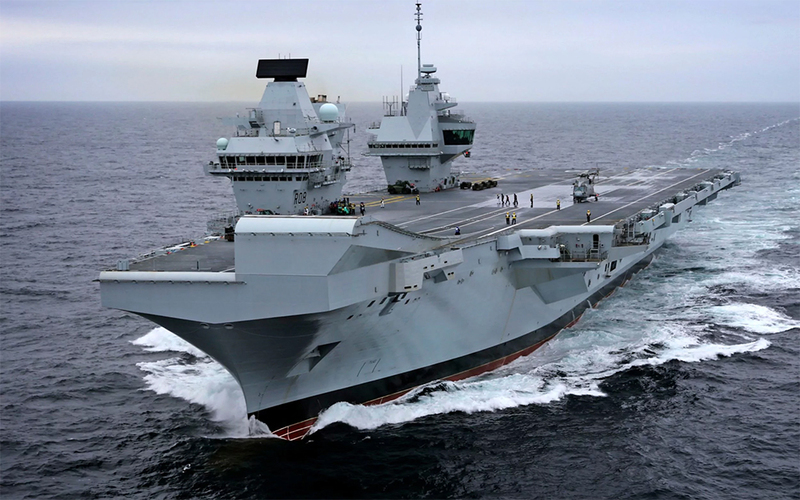 Home / EPE News / Drone enthusiast lands device on deck of £3bn aircraft carrier. It is a £3bn state-of-the-art investment, commissioned to reassert Britain’s supremacy on the high seas. But this week the Royal Navy was left blushing after it emerged that an amateur enthusiast managed to land a £300 drone on the deck of HMS Queen Elizabeth – without anyone raising the alarm. According to local media reports in Scotland, the drone user managed to fly the drone past armed patrol boats before landing on the deck of the aircraft carrier. The pilot, who is yet to be named, told reporters this week that he had been “amazed” how easy it had been to carry out the stunt. “I was amazed that I was able to land on the aircraft carrier for two reasons, the first being that there was no one about to prevent it from landing although were security police around in small boats who were waving at the drone,” he said. He added that when attempted to discuss his concerns about security with crew members, he returned to find a “ghost ship”. “There was absolutely no-one around when I landed, it was like a ghost ship,” he continued. “After I posted the picture taken from the flight deck I got some flak from other drone users who were saying ‘You are going to make a lot of people unhappy’. I thought the only law I had broken was that I flew over a vessel I didn’t have control over. “I was a bit concerned so I drove round to Invergordon and spoke to the port security and explained that I wanted to speak to someone from the ship such as the duty watch or the captain about what I had done. “No-one seemed too concerned, but the officer I spoke to said he would pass it up the chain of command. I was fascinated by the Queen Elizabeth and wanted to have a crack at filming her. I wasn’t out to get anyone in trouble. What’s done is done, and I can’t undo the images I shot. Whilst the anonymous drone pilot appeared relaxed about his exploits, the disclosure has prompted concern among military and security experts. Speaking to The Daily Mail, Lord West, a former First Sea Lord, said it was worrying because terrorist groups such as Islamic State had already used drones in the Middle East to launch bombs. He said: “Daesh [Islamic State] are already using drones to deliver bombs in Syria, so I think it is something we need to take very seriously. “The fact drones can reach it is a worry. The Queen Elizabeth is doing some work with helicopters and if a drone hits a helicopter that could be very dangerous.